Dozens of Seoul-based diplomats will visit the Demilitarized Zone on Friday in a tour arranged by the culture ministry to promote South Korea's efforts to turn the vestige of the Korean War into a symbol of peace. Culture Minister Do Jong-whan will join ambassadors and representatives from 48 countries, including the United States, Britain, Spain, Portugal, Singapore, Iran and Iraq, in the tour of the buffer zone between the Koreas, the culture ministry said. 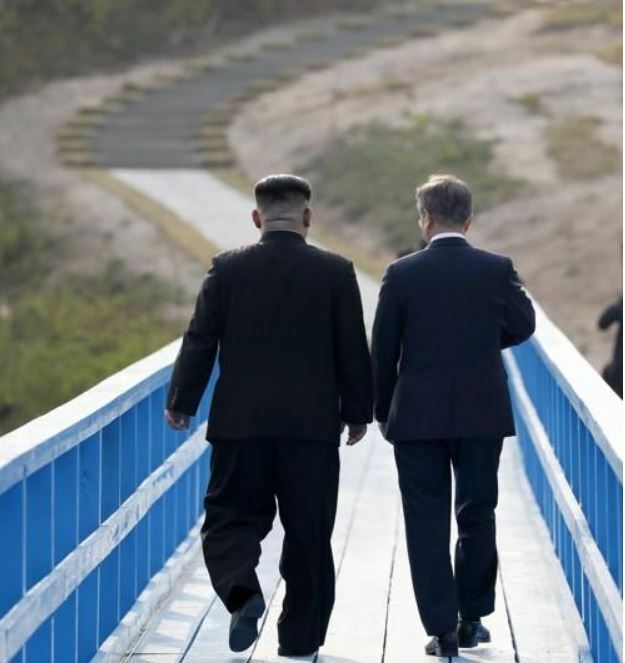 They will visit Jangdan Bean Village in Paju, one of the 10 attractions on the DMZ peace tour, and the Panmunjom area where President Moon Jae-in and North Korean leader Kim Jong-un had their first summit on April 27. According to the ministry, the tour was made at a suggestion from the Iraqi Ambassador to South Korea Hayder Shiaa Al-Barrak that foreign diplomats residing in Korea need to understand the significance and meaning of peace by visiting the DMZ at a time when relations between the Koreas are getting warmer. "We hope the Korean diplomatic corps will be able to share the need for resettling peace on the Korean Peninsula and participate in spreading peace by observing the transformation of the DMZ into a place of peace and reconciliation, as well as a spot for a peace-themed tour following the April inter-Korean summit," Minister Do was quoted as saying in a press release.